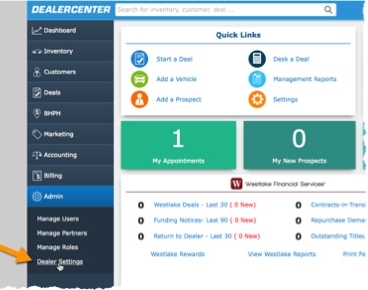 To qualify for the Service Lane Program, your Dealership must be active in the Pre-Owned Program. 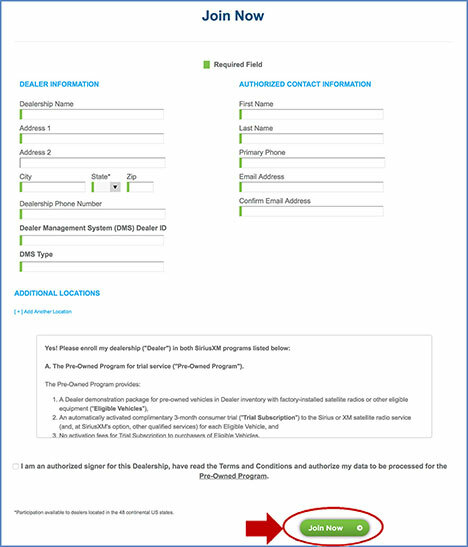 To qualify for Dealership Beats, you must be enrolled in Pre-Owned and Service Lane programs. 6. CDK will work with Deal Pack to establish the data feed. 3. 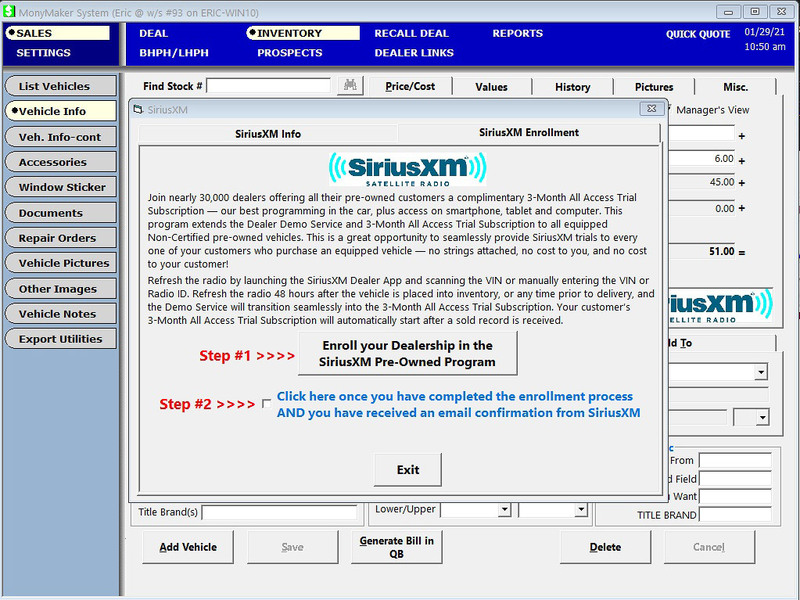 The SiriusXM Enrollment Form will open with your Dealership information pre-filled. Enrollment has been successful when you see “Thank You” page. Check your email to confirm enrollment in the program. 4. Enrollment has been successful when you see “Thank You” page. Check your email to confirm enrollment in the program. Box is checked after enrollment page. 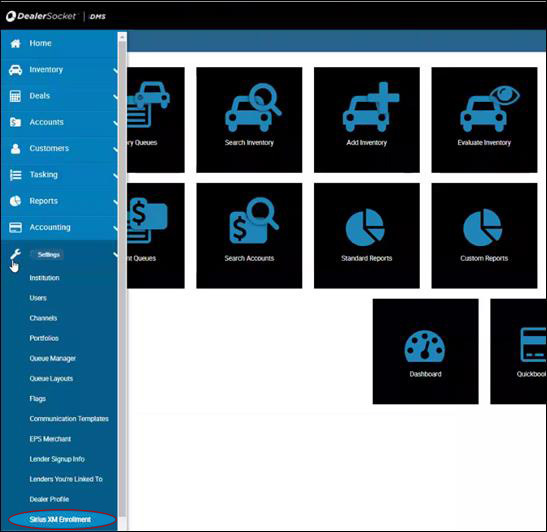 If the vehicle is equipped with SiriusXM you will see a blue SiriusXM logo - You can send an activation signal to the radio by using the SiriusXM Dealer App. 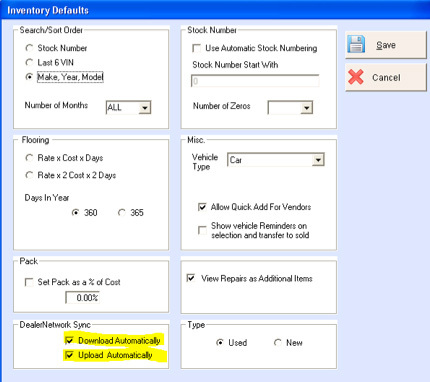 Notification of refresh and a reminder of how many equipped vehicles are in inventory. 1. 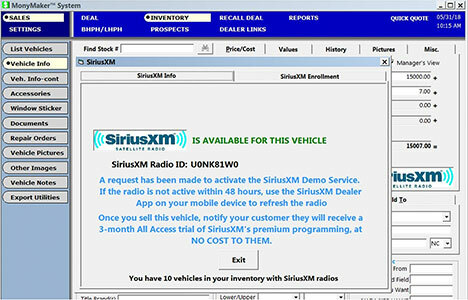 When clicking on the SiriusXM logo in inventory, you will see this screen. 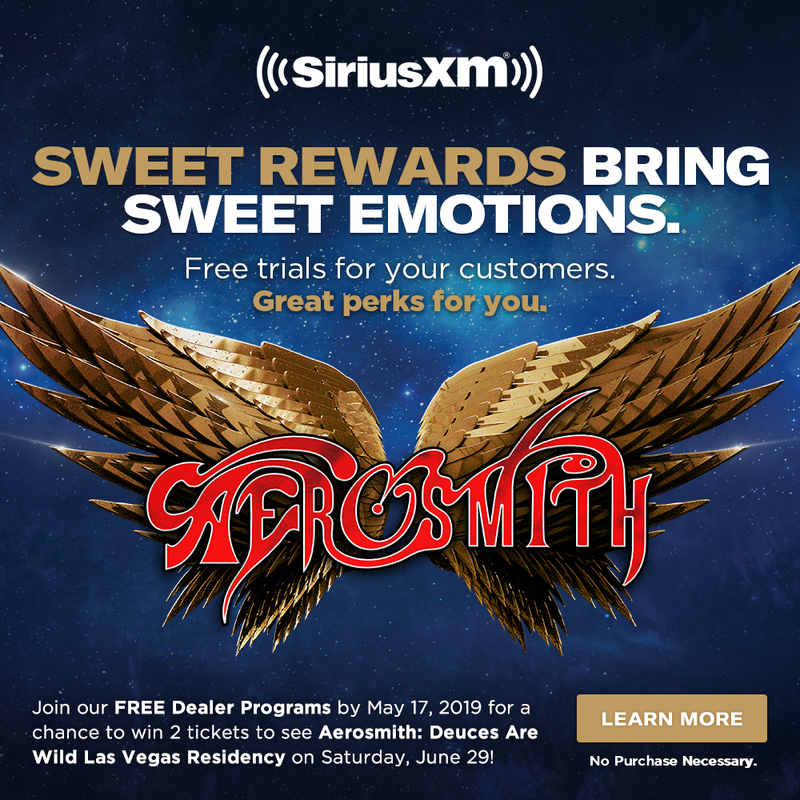 Click the “Signup with SiriusXM” button. 3. 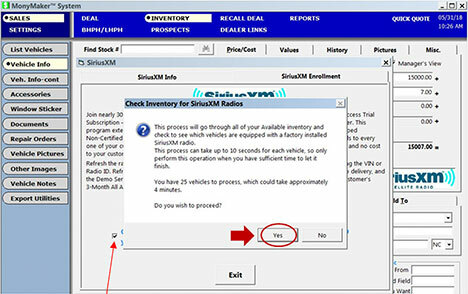 Next, the dealer will click the box indicating they are an Authorized Representative, and type in their name. 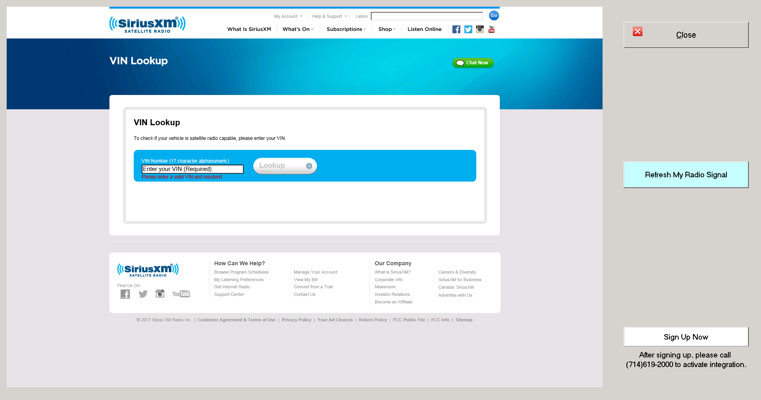 Click “Continue” and receive the following screen. Call 1-888-963-5369 or Click Here to fill out the Support Form. 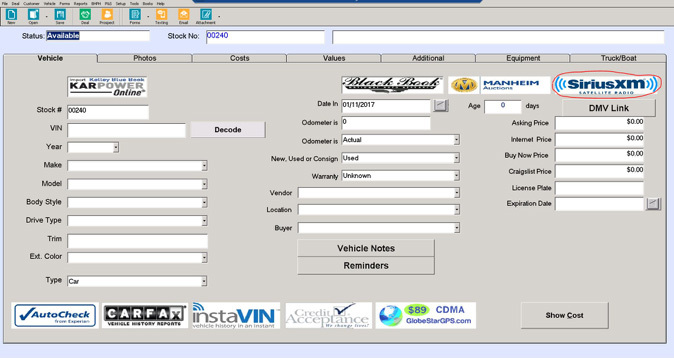 2) Review the program information, then select the checkbox that you are an authorized signer for this Dealership, then select “Join Now”. 1) Click the “active” check box next to each file type. (To add more stores to this program at the same time, click “Stores” next to file type and select the additional stores as needed. 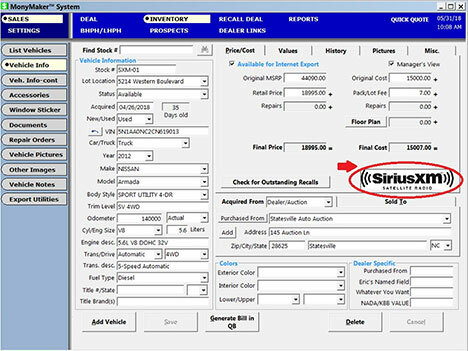 • Click “Internal Setup of SiriusXM” and the software will send a file of all unsold inventory and from this point on, every time a vehicle is added to inventory or a sale is completed, the vehicle & customer contact information will automatically be sent to SiriusXM. 1. Call Genesys: 1-888-548-4000, press 2 for Support, and they’ll get you set up today! If your Dealer ID is not available, please click next to continue.